Fiddle Dee Dough is an Irish themed online slot game with 3 reels and 9 paylines, bonus features and more! Are you ready to embrace the luck o’ the Irish? 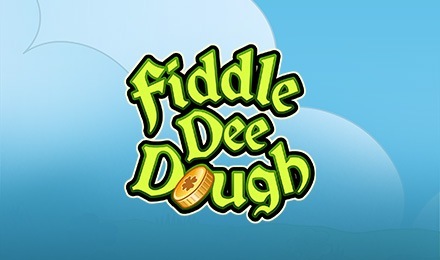 If you’re looking to have a fun time online, look no further than Fiddle Dee Dough Slots! Pour yourself a pint of ale and get ready to win win win! There’s a fun Irish theme, as well as 2 Scatters, a Prize Pick Bonus and FREE Spins! Plus, the game’s logo is your Wild, which can replace any symbol (except the Scatters) to help you complete winning lines. Feeling lucky?